Heat Hero Direct is a safe open vented, gravity solid fuel heating system that has a built in cooling loop in the event of electrical failure. 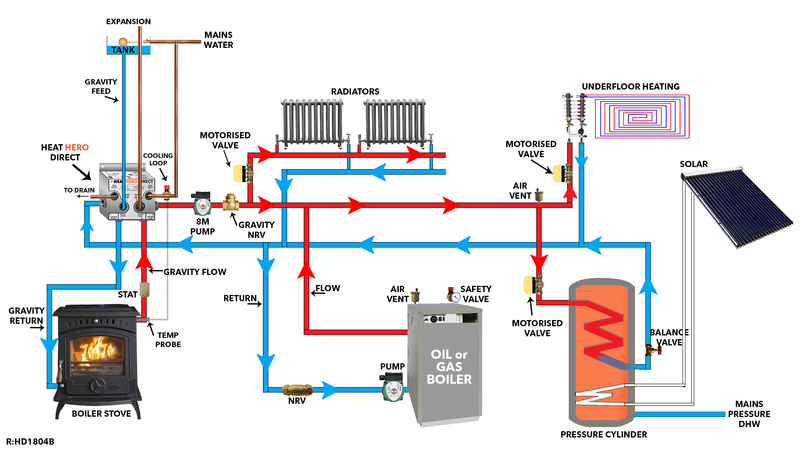 There is no heat exchanger on the solid fuel boiler so the water from the solid fuel boiler is circulated directly throughout the heating system. Solid fuel boilers can now be connected to single coil pressure cylinders and have a storage of over 300 litres of domestic hot water. They can also be linked up with solar panels, oil boilers and high pressure gas boilers efficiently and safely. 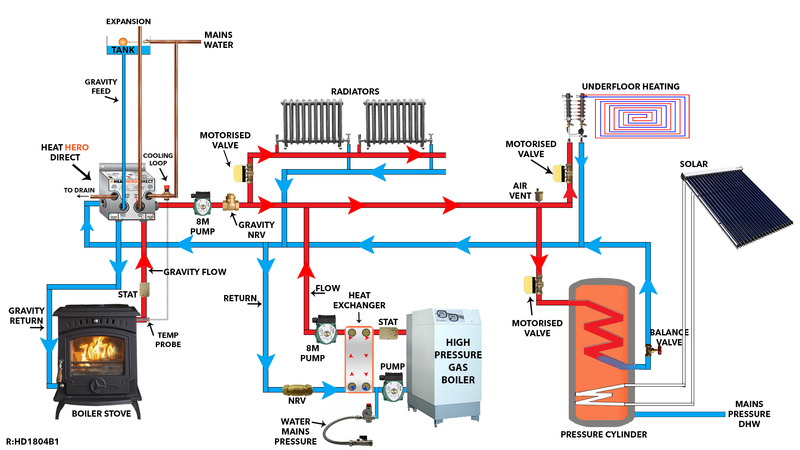 Using Heat Hero Direct a solid fuel boiler can be connected efficiently to a high pressure gas boiler by installing a heat exchanger on the gas boiler. This will allow the solid fuel boiler witch is a non-controllable heat source to circulate the water directly from the stove to the radiators or under floor heating. This is the most efficient way to connect a solid fuel boiler to a high pressure gas boiler.